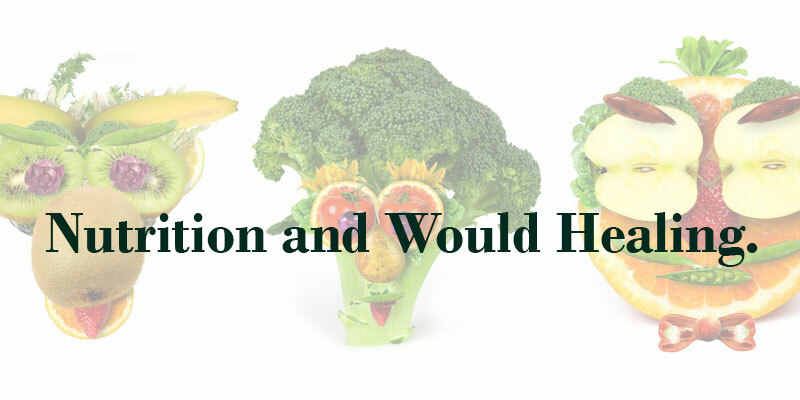 As promised, this blog post will continue from yesterday’s and will discuss how proper nutrition can have a significant positive effect on wound healing. This has implications for anyone suffering from CNH. If you are currently suffering from Chondrodermatitis or are at risk of developing it, this information is useful as part of a multi-faceted treatment approach. Outside of the friction and pressure of your pillow, improper nutrition is one of the biggest contributing factors to the development of pressure sores. Current scientific research, including The National Pressure Ulcer Long-Term Care Study, reflect this fact. It was observed, for example, that in Japan at least 60% of people aged 65 or older who have Chondrodermatitis are also undernourished. This is because malnourishment leads to bodily tissue not repairing itself at an optimum rate. This is particularly troublesome for habitual side-sleepers and the elderly. Correct nutrition and the body’s proper functioning go hand in hand. Problems in functioning that directly affect the skin include: reduced collagen synthesis and decreased activity of antioxidant mechanisms. The former reduces the elasticity of the skin and makes it more prone to pressure related damage while the latter increases the amount of free-radicals, leading to damage on a cellular level. The risk of infection is also increased. Heightened risk of infection is of importance for people that have had CNH for longer than six weeks because at this stage the body will be fighting the beginnings of an infection and you do not want it to take hold. Fighting infection is a draining process and the body has an increased need of protein and energy during this time. While every person has different dietary requirements, it is understood that to optimise wound healing, the body generally needs extra energy, protein, zinc, and Vitamins A, C, and E.
By taking on more protein it has been shown that the incidence of CNH can be reduced by up to 25%. This is due to the fact that protein is used in the repair of tissue, and the quick repairing of tissue is critical to staving off CNH. It is precisely because the body’s natural repair rate declines with age that CNH develops. Therefore, it is recommended that protein consumption be 1.25g to 1.5g per kg of body weight each day. For those with stage three or four pressure sores, the level rises to 1.5g –2.0g per kilogram of bodyweight per day. This is because when Chondrodermatitis has reached Stage Three and is weeping, the body will also be losing protein there. This fluid is rich in protein and its loss further reduces collagen synthesis, which as mentioned previously is a key mechanism in wound repair. Collagen synthesis needs lots of energy to do its job, therefore your diet should contain plenty of carbohydrates, fats and of course protein. Copper – Like protein, this plays a key role in collagen synthesis. Iron – improves oxygen delivery to tissue. Manganese has been noted for contributing to tissue regeneration. Zinc is an antioxidant. It also has a role in the production of proteins such as collagen. Vitamin K is also important for the production of proteins. Alongside nutrition, hydration has a critical role in skin repair. Dehydration interferes with cell metabolism and therefore wounds can’t heal. Conversely, plenty of fluid enables good blood flow to wounded tissue and stops the skin deteriorating further. Please be aware that if you use an air mattresses you may need to take on extra fluids to offset the fluid loss associated with the increased heat and insulation the mattress provides. To give yourself the best chance of healing CNH in a timely fashion make sure you eat well and and stay hydrated. To find out more about what your body specifically needs, consult your doctor.